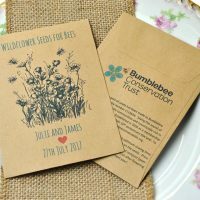 Make your wedding favours useful – who needs a box of sugared almonds or a scented candle when you can give a charitable wedding favour that is worthwhile. 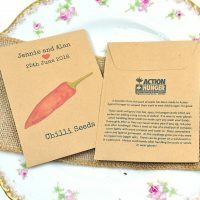 Here you will find charities we are supporting with the sale of our charity wedding favours – a donation from every packet sold will go the charity you choose. 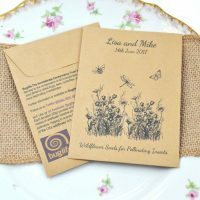 These charity wedding favours are brilliant for raising funds for these charities who do so much good and we hope you will want to support them! 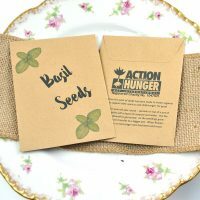 It will also give you a nice warm fuzzy feeling inside that you are doing something worthwhile for the planet and its people! 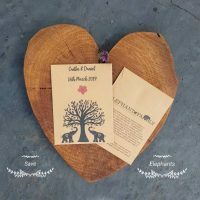 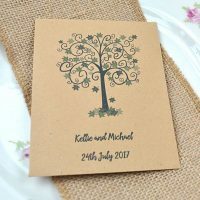 View basket “Tree Aid Charity Wedding Favour” has been added to your basket.